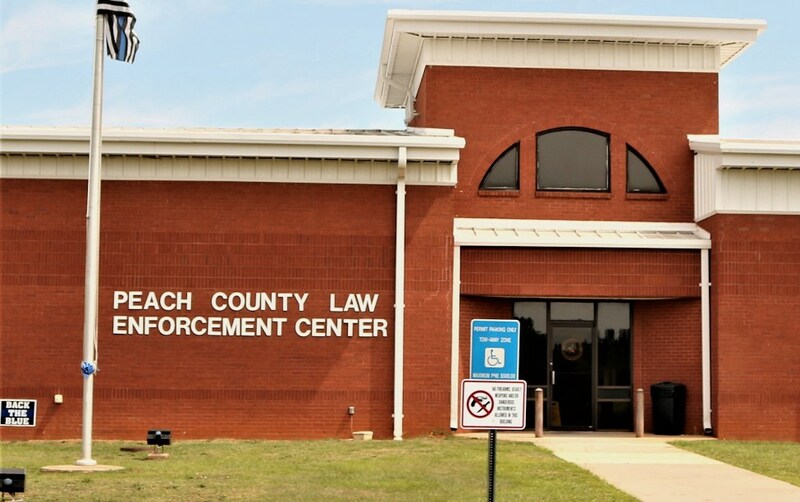 The Peach County Jail is a state-of-the-art facility expanded from its original 64 bed footprint with a 116-bed renovation completed in 2011. The expansion and renovation created additional beds and day rooms to provide a better mix of the classifications to meet the county’s jail population needs for at least 20 years based on current projections. The indirect supervision jail pod is monitored from a second-story, enclosed tower. The cell doors, lights, TV, phones and intercom of the new pod are all monitored through a touch screen system from the tower. Jail administrators can see the inmates fromthe tower but the inmates cannot see the administrators. The objective of the jail staff is to treat all inmates fairly and humanely, and to provide all inmates, staff, and visitors with an environment that is clean and healthy, while constantly maintaining a high level of safety and security utilizing current and nationally accepted detention management practices. Q. I want to make bond for someone who has been arrested. How do I do this? The full amount of the bond may be paid to the jail in cash. If you own real property, you may pledge that property as bail. This is called property bond. You may employ the services of a bail bondsman to guarantee the bond. Bail bondsmen may be found in the yellow pages of the phone book. A list of approved bail bondsmen is posted at the jail. Bondsmen typically charge a percentage of the amount of the bond as a fee for their services. The Peach County Sheriff’s Office does not endorse or recommend any particular bail bond service. Q. I would like to visit someone in the jail. When may I do this? A. Visiting hours for inmates are set by the cell/bed assignment and the jail staff can advise you when an inmate is scheduled for visitation.